...So it begins. 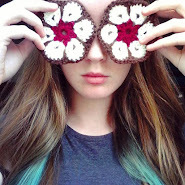 A semi-regular blog feature, how exciting! Presented to you all this fine day are a selection of things I've bought at my local charity shops. Although you can measure how run-down a place is by the amount of charity shops in the high street (we have 7 on one short stretch, not even kidding,) they often don't get the love they deserve. Charity shops are a veritable treasure trove for people who like cheap stuff. You can never find what you're looking for when you want it, but if you have a bit of forward planning and don't mind buying your winter jumpers in July then go have a look. You could even consider volunteering at one so you can nab things as they come in and for some CV padding. Apologies that I don't remember which charity shops these came from, but I like to wander up the high street and go into each of the seven in turn. Statistically speaking it'd be Age UK because we have two of those. A super-duperly good book, which I write a bit about in this blog post! 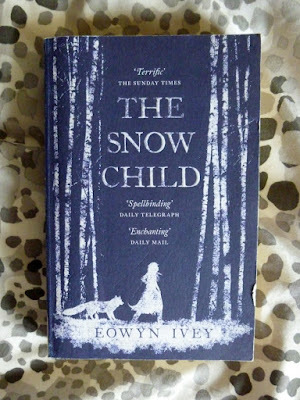 Books are my main charity shop purchase. I was a huge book-worm when I was younger. My mum says that when we were given books to read for homework I'd finish them in my school lunch break before I'd even gone home. Every birthday and Christmas I'd get a little stack and these books would go off to charity shops when I outgrew them. Now I've switched it around, and I'm slowly building up my bookcase. I only buy the ones I think I'll really like, keep the ones I really like and want to re-read, and any others that are unexpected disappointments can get donated back again. As much as I want to, being a student I really can't afford to spend almost £10 on a single book. Thank you, charity shops! I know, I know, I'm not really at the recommended reading age for this one. 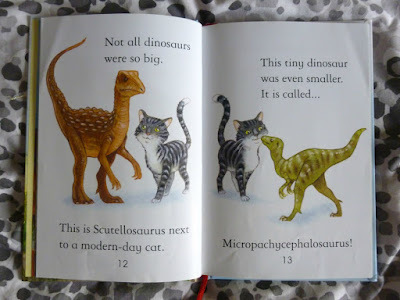 But I love dinosaurs, and the pictures inside were just so cute. The cat would surely put up a fight. I may frame some of them, or cut them out and use for card making. At this point I don't think I could lay a knife to such a nice little book though, I'll probably be sentimental and keep it to look at occasionally. After all, I can always copy out the pictures and paint them myself. 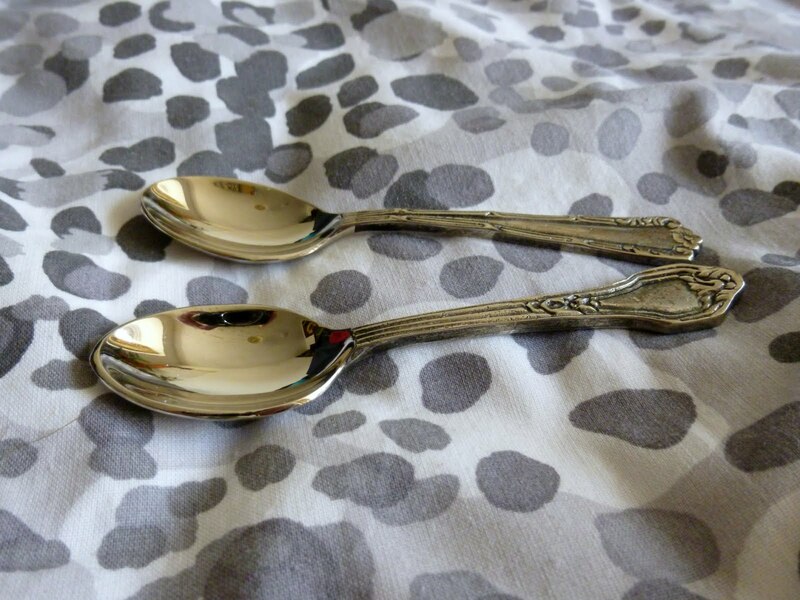 Some pretty good crockery and cutlery bargains can be had. I didn't actually own any tea spoons until a week ago, so here are my new shiny ones. They were in an expensive-looking box of four, but the two others were missing. The box was originally for £7.99, which is mad. 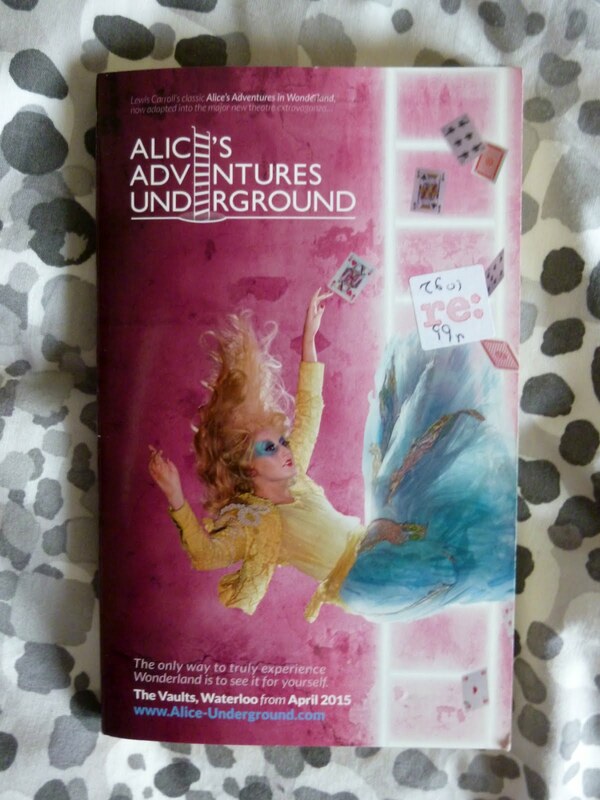 'Alice's Adventures Underground' was actually the title of the first manuscript that Dodgson wrote and gave Alice Liddell after she requested he write down one of his stories. This was later expanded and illustrated into the story we know and love. This book, however, is not that original version. This is just 'Alice's Adventures in Wonderland' with a weird theatre-version cover that I didn't much like. Printing film version covers of books I can understand, but for a theatre production? Surely everyone who goes to see your theatre play already knows the story? I already have the Penguin Classics version anyway, so it's not much of a problem. 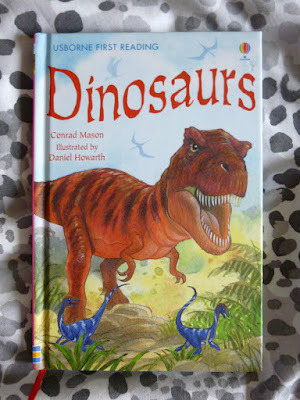 The reason I bought it is this- it has all the good-sized illustrations inside. I think this book would be happier if I separated it from its yucky cover and gave it a new lease of life. 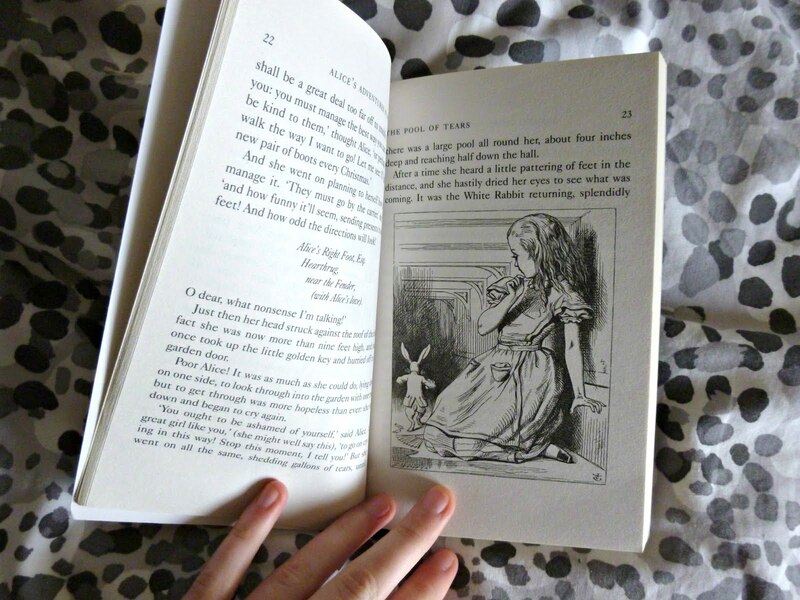 Maybe Alice-themed watercolour prints on the pages, for little gifts? 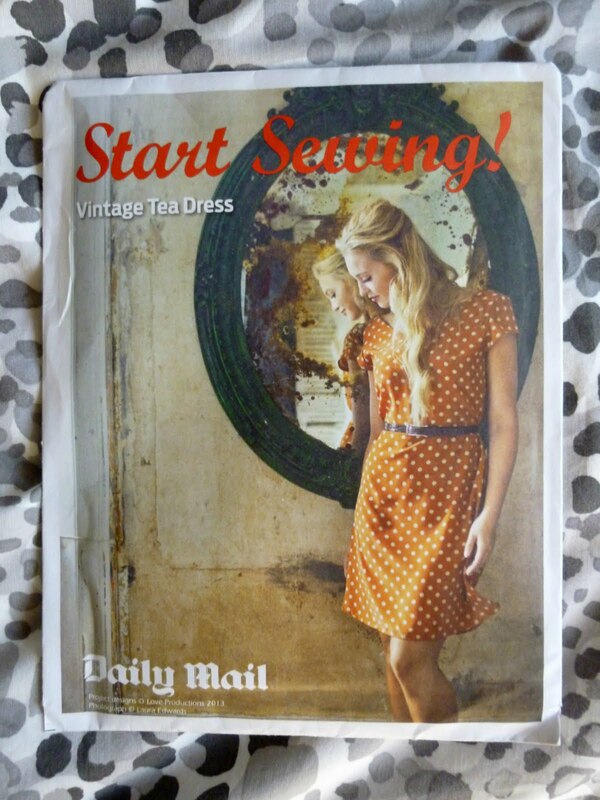 And finally, this sewing pattern from the Daily Mail. I've never sewn anything big like this, so it'll be my first pattern. You should see this and the results it gives at some point in the future, hopefully! Now I just need to get some nice fabric and I'll be all set.